Firefighters battle fast moving fire. Photo courtesy of Snohomish County Fire District 7. 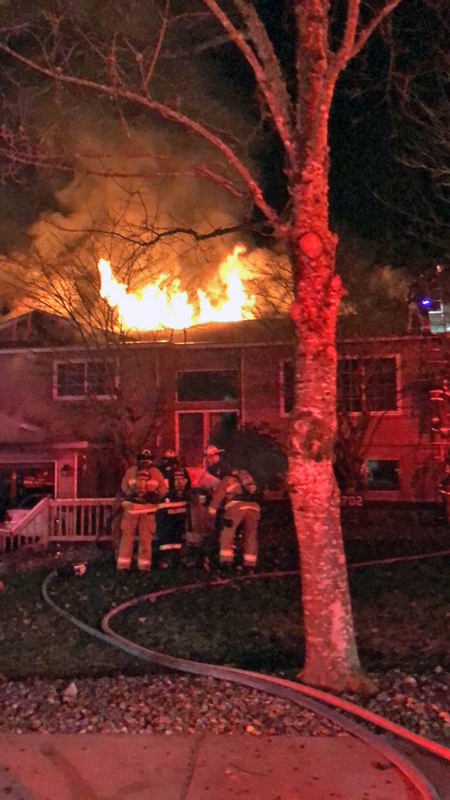 At 6:02 pm on Monday, January 14, 2019, firefighters were dispatched to a report of a house fire at the 17700 block of 30th Drive SE with reports of a person still inside. When crews arrived on scene they found a fast moving fire extending throughout the back of the home. Firefighters quickly ran to the back of the house where they found one person still in the home. They were able to get her out safely. Paramedics evaluated the patient and she was cleared at the scene. The fire quickly spread from the garage to the second floor of the home where it extended into the attic and through the roof. While firefighters worked to extinguish the fire from the inside of the home, there was a partial collapse of the second floor. Firefighters were immediately removed from the inside of the home and from the roof. Crews continued to work to extinguish the flames from the exterior of the home. Due to the intensity of the fire, it took firefighters approximately 50 minutes to gain control and extinguish the flames. Firefighters stayed on scene through the night to monitor hot spots. South County Fire and Bothell Fire assisted in fighting the fire. Snohomish County Fire Marshal is investigating the cause of the fire. The American Red Cross was called to assist the family of four; two adults and two children. Firefighters battle fire south of Mill Creek. Photo courtesy of Snohomish Country Fire District 7.